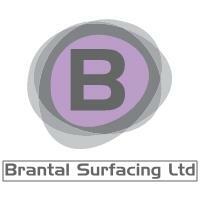 Brantal Surfacing Ltd - Driveways/Patios/Paths, Landscaper based in Poole, Dorset. We believe we are the South Coast’s Finest Surfacing Team. With over 35 years combined experience in the surfacing industry, we would like to offer our services to you. We pride ourselves on our professionalism and quality workmanship, while aiming to provide value for money. We are a friendly and approachable company, operating mainly in the Poole, Bournemouth and Christchurch areas but we do frequently undertake work in the surrounding counties. All enquiries, big or small, are answered and all site visits and estimates are free and are no obligation.